Home - 5 Funny Joke Books for 7 year olds! At a glance: 5 funny joke books for 7 year olds (+ 8 and 9 year olds) that you’ll want to have in your home library. I have a parenting secret weapon. This parenting tool helps in a ton of different situations and has made my life easier more than once! When the air is tense and everyone is low on patience… a funny knock knock joke can lighten the mood immediately. On test day, when nerves are flared, it’s the math joke that will put her at ease. And when sending a little lunch box love became a chance for embarrassment… school jokes easily stepped in to fill the spot. It’s time to add jokes in another area… reading time. These are the best jokes books I could find. I hope you love them as much as we have! Some of the links in this post are affiliate links. If you make a purchase using these links I will be compensated. Thanks for supporting Confidence Meets Parenting. 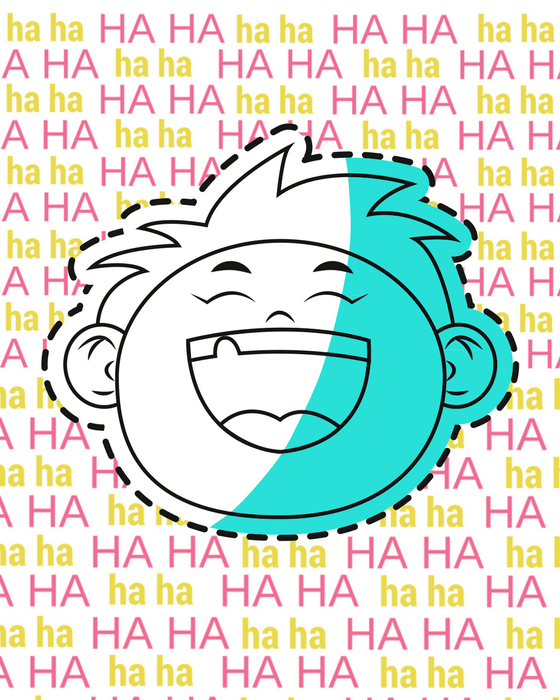 Laugh-Out-Loud Jokes for Kids by Rob Elliott –> Buy it Here. Rob Elliott has several joke books for kids, this one was his first. The other books in his selection include books with holiday jokes, animal jokes, and spooky jokes. He even has a joke book for road trips! Funny Mom Joke Pack by Jill Riley –> Buy it Here. This printable pack is perfect if you would like to add jokes to your little one’s lunch box. It includes seasonal jokes, holiday jokes and just for fun jokes. Download and print the pack… and you’re all set to have a little laugh every day of the year! National Geographic Kids Just Joking: 300 Hilarious Jokes, Tricky Tongue Twisters, and Ridiculous Riddles by National Geographic Kids –> Buy it Here. This funny joke book is not just jokes. Along with everything included in the title… there are also animal facts scattered throughout the book. I love how bright and colorful this one is! It’s a must-have for the home library. 365 Jokes For Kids: A Joke A Day Book +5 Bonus Magic Tricks by Chrissy Voeg –> Buy it Here. If you are looking for simple, this is the joke book for you. The jokes are shared in a way this both easy to read and fun to move through. There are even little cartoons scattered throughout the book. Jokelopedia: The Biggest, Best, Silliest, Dumbest Joke Book Ever! by Eva Blank, Alison Benjamin, Rosanne Green, Ilana Weitzman and Lisa Sparks –> Buy it Here. This joke book is perfect for kids who really want to understand the skill behind the jokes. Along with actual jokes, there are tips for creating jokes, ideas for telling jokes and fun facts about comedians. Are you already using jokes as your secret parenting weapon? How will you use them now? Share with us in the comments.